Oooh look at those naugthy gnomes. 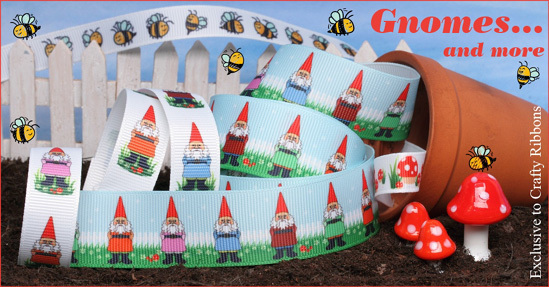 A fun small collection of garden gnomes and friends - bees, mushrooms and night houses. Team the ribbons up with matching digi stamps and toppers.